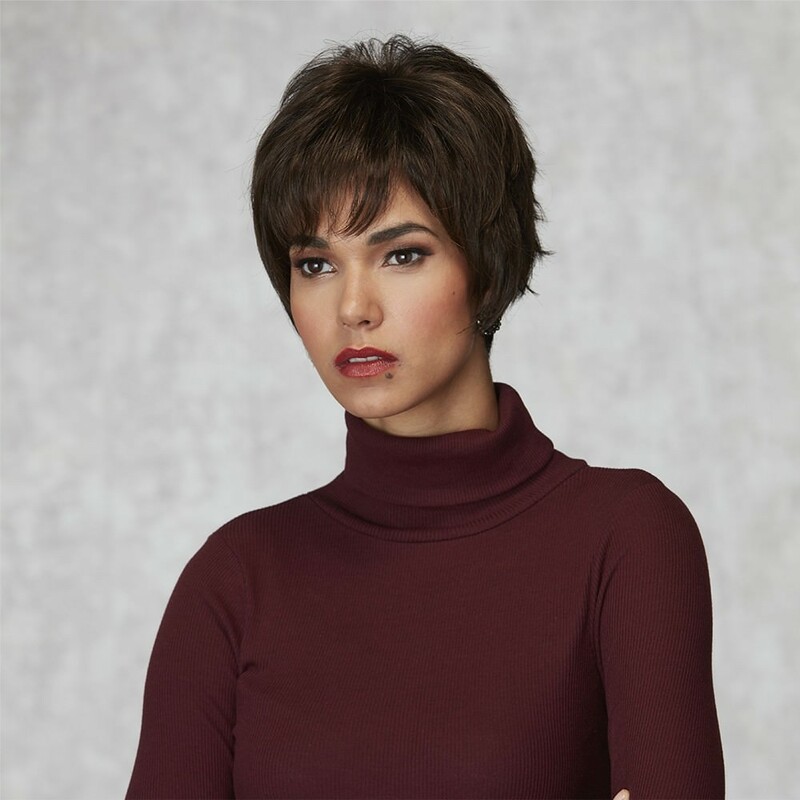 Wave farewell to drab and boring and say hello to allure and glamour with the razor layered Bliss wig by the Inspired Collection, shown in Dark Chocolate Mist colour. 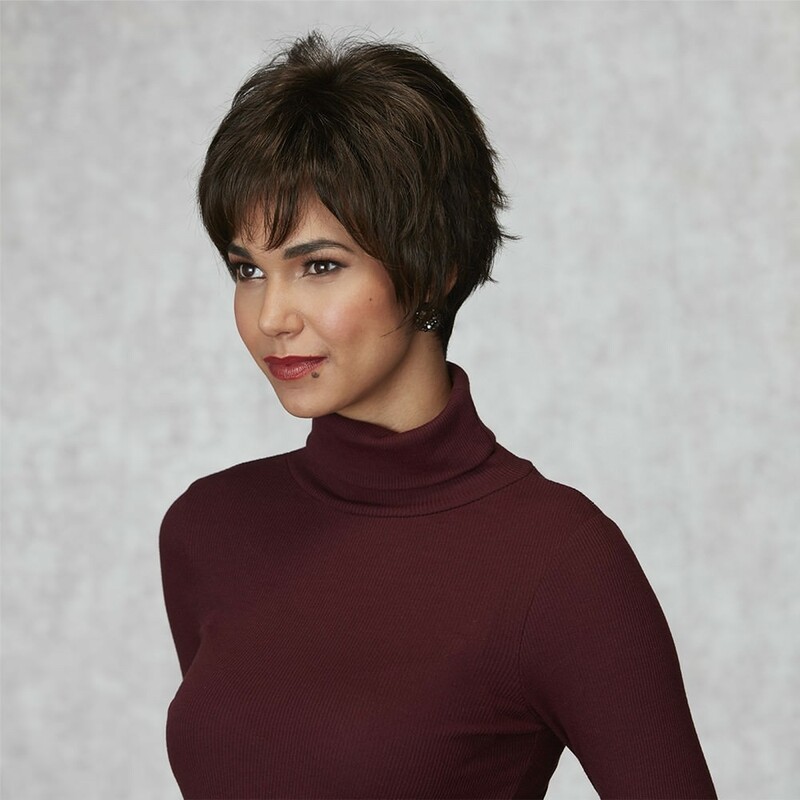 The perfect amount of top volume combined with the parting flexibility of this gorgeous monofilament wig will add zing to your life to leave you feeling incredible. With a light and most comfortable fit it is pure bliss to wear. 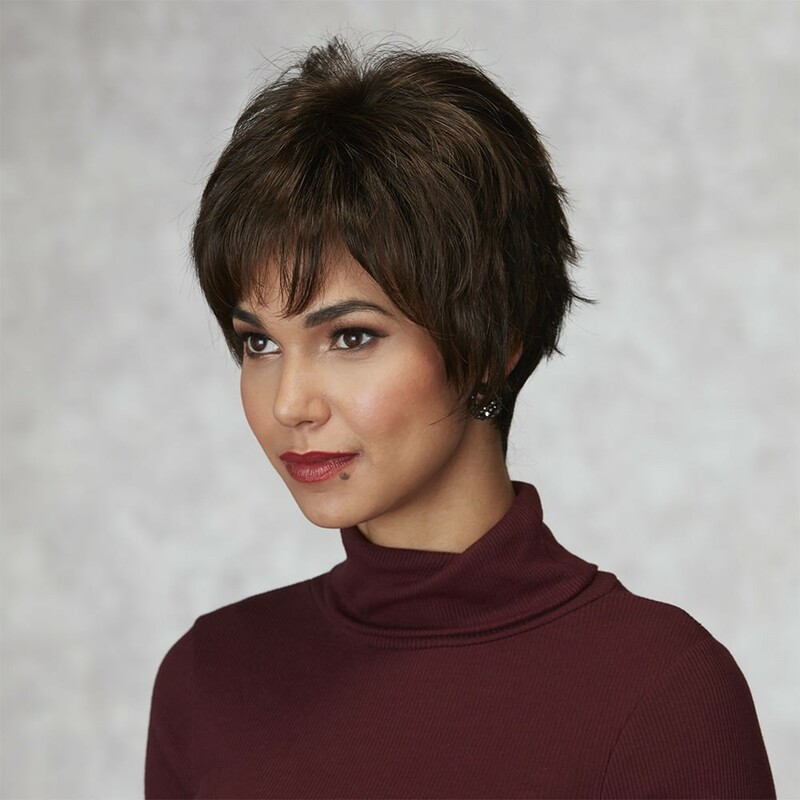 Length from side of head: 2 - 3"